We have all heard about the benefits of being an investor and how becoming a landlord will make you rich. But, let's face reality, property investment has its disadvantages, too. Before you can even rent your West Columbia, SC property, it is crucial to set the rental price that will not only cover your mortgage payment, but will also draw buyers to the property as well as put a little extra cash in your pocket for incidentals. This can be a tricky process, and can cost you dearly if you take it lightly. Let us give you a few helpful hints today to help save you from potential pitfalls down the road. Property owners dream of the easy life as a landlord — renting out their properties, raking in the dough, no longer part of the rat race. We all know the reality, however: renting your property is much more complicated. Management of the property, for instance, is essential to insure that tenants won’t destroy the place, get behind on rent payments or decrease area property values (and thereby anger neighbors) by trashing the yard. Ongoing maintenance — guaranteeing the comfort and safety of your tenants — is another concern. But often the most difficult and illusive task of a property manager is to set the proper rental rate. Setting the right rent is a delicate issue. So many factors go into the mix that it can be a confusing task, often prompting property owners to resort to pulling a number out of the air. But this can lead to disaster. The basics: without taking an extensive course in economics, there are two concerns — too low or too high. Simple enough, but how do you figure the right rent before you ever advertise the property? If the rent is too high, qualified applicants will be scared away--and even if it is rented, chances are the length of residency will be short. If the rent is set too low, decreased cash flow and deferred maintenance will result, as well as an increased probability of deadbeat or even destructive tenants. Don’t feel comfortable setting the rent? There are property management companies in abundance out there ready to take the burden off your shoulders, but it’ll cost you. Fees can range from 50 to 72 percent of one month’s rent, not to mention additional expenses and fees. There are many advantages to using management services — they place and maintain the advertising for you; show the property for you and give a sales pitch; review applications, screen applicants and conduct background checks; and prepare lease documents. Not a bad investment, but with the right information you can save the money and do it yourself. There’s no scientific method to setting rent — it just takes some research, market savvy, and legwork. The best place to start is by looking in the real estate section of your Sunday newspaper, the most extensive listing of the week. The rental properties are traditionally divided by geographic location. It’s a good idea to look at similar properties (of comparable square footage, amenities, and age) in your area and see what the range of prices is. Is your property in a trendy part of town? Close to the freeway? Near good schools? Within walking distance of shopping? All these factors can influence the rental price range. Looking in the newspaper a couple of times is not enough, though. It pays to consistently track the local market. Trends such as new industry coming to the area, rent control, and new housing developments nearby should be consistently noted and tracked. Supply and demand are factors to consider too. 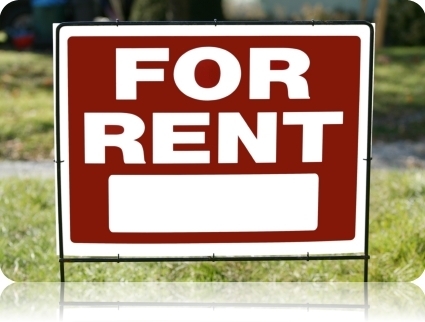 If your property is near a large college campus, for example, there is a constant high demand for rentals. However, even if your property is in a trendy or high-demand area, common sense dictates that if your property is in disrepair, has maintenance issues, unkempt landscaping, or lack of amenities, you will not be able to ask the same price as a tidy, well-kept, and regularly maintained property. Other concerns include your property features. Clubhouses, workout facilities, walking paths, tennis courts, conference rooms — all affect a renter’s decision. Square footage, floor plan, and even the view influence the rental rate. Basic amenities like dishwashers, clothes washers and dryers (or hookups), balconies, fireplaces, covered parking, and cable TV have a great effect on rental rates. A simple way to increase the value is to add some of these amenities to your property. It can often be as simple as a coat of paint, some extra flowering plants on the grounds, or making sure the units are sparkling clean. There are market factors to consider as well. For instance, when interest rates are low, more people will be in the market to purchase a home. When rent is equal to or exceeds a mortgage payment, tenants will do the math and realize it makes more sense to buy. Another way to check proper rents is to join your local apartment owners association where you can compare rental prices to similar units. You can find out from them if local economic trends or other environmental factors are affecting everyone — not just your property. Many of them also have newsletters or other publications with tips and advice on not only setting price but other management issues as well. After all is said and done, testing and tracking is a time-honored way of setting rent prices. Err on the high side, however — it’s easier to lower prices than to raise them. And finally, don’t be afraid to offer incentives when the market is soft — even small offers like a free month of cable TV or a gift basket can tip the scales in your favor.